Through Crayola’s Zero Waste program, anything that cannot be reused or recycled is collected and either converted into energy from incinerated waste or transformed into fuel for the cement industry. 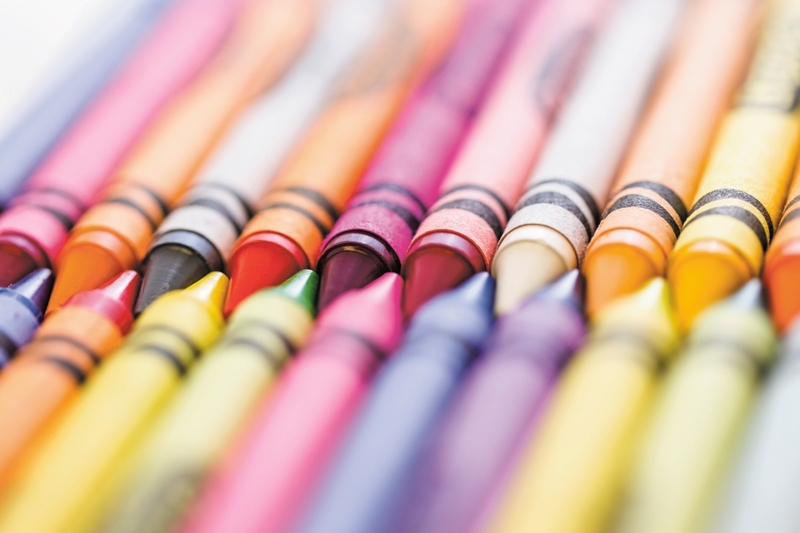 In 2016, Crayola recycled 4 million pounds of fiber and plastics, with the remaining 2.7 million pounds of non-recyclable material repurposed through its Zero Waste program. Crayola’s recycling efforts first got underway in 1987, but have since expanded, explains Rod Gischel, manager of plant engineering. “In 2016, in addition to recycling fiber and plastics, Crayola also recycled many other materials, such as electronic waste, used oil, batteries and metals,” he says. Recycling is simply part of Crayola’s culture. The facilities don’t have individual trash cans; instead, employees are responsible for taking their waste to separation and recycling stations. A janitorial team collects these materials, taking them to the main recycling center where they are processed to ensure the materials are in the right areas. Recycling, however, isn’t the only green initiative that Crayola pursues. The company’s facilities use a mechanical process to pull well water out of the ground, geothermally cooling the HVAC systems before injecting the water back into the earth. Crayola is also making the switch to LED lighting around their facilities. In addition, Crayola commissioned a solar farm to generate energy in 2010. Featuring more than 30,000 solar panels across 20 acres, the system today provides enough power to make 1 billion crayons and 500 million markers each year. Learn more about Hallmark's Corporate Citizenship intiatives here. Click here to download our 2016 Caring In Action Report.